The Eiffel Tower is officially opened to the public. The Eiffel Tower (French: La Tour Eiffel) is an iron lattice tower located on the Champ de Mars in Paris. It was named after the engineer Gustave Eiffel, whose company designed and built the tower. Work on the tower commenced in 1887, and the finished product was inaugurated on March 31, 1889. The official opening date was May 6, 1889. 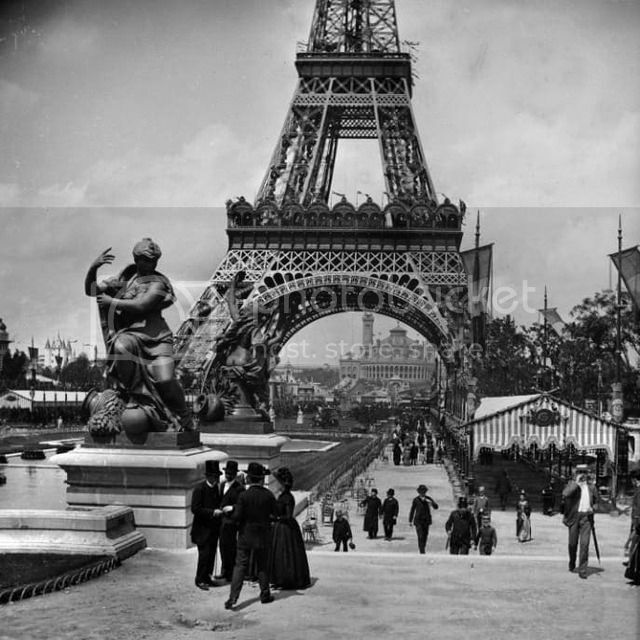 Erected in 1889 as the entrance arch to the 1889 World’s Fair, it was initially criticised by some of France’s leading artists and intellectuals for its design, but has become both a global cultural icon of France and one of the most recognizable structures in the world. The tower is the tallest structure in Paris and the most-visited paid monument in the world; 6.98 million people ascended it in 2011. The tower received its 250 millionth visitor in 2010. The tower is 324 metres (1,063 ft) tall, about the same height as an 81-storey building. During its construction, the Eiffel Tower surpassed the Washington Monument to assume the title of the tallest man-made structure in the world, a title it held for 41 years, until the Chrysler Building in New York City was built in 1930. Because of the addition of the antenna atop the Eiffel Tower in 1957, it is now taller than the Chrysler Building by 5.2 metres (17 ft). Not including broadcast antennae, it is the second-tallest structure in France, after the Millau Viaduct. The tower was an immediate success with the public, and nearly 30,000 visitors made the 1,710-step climb to the top using the stairs before the lifts entered service on 26 May. Tickets cost 2 francs for the first level, 3 for the second, and 5 for the top, with half-price admission on Sundays, and by the end of the exhibition there had been 1,896,987 visitors. The Eiffel Tower is officially opened in Paris.